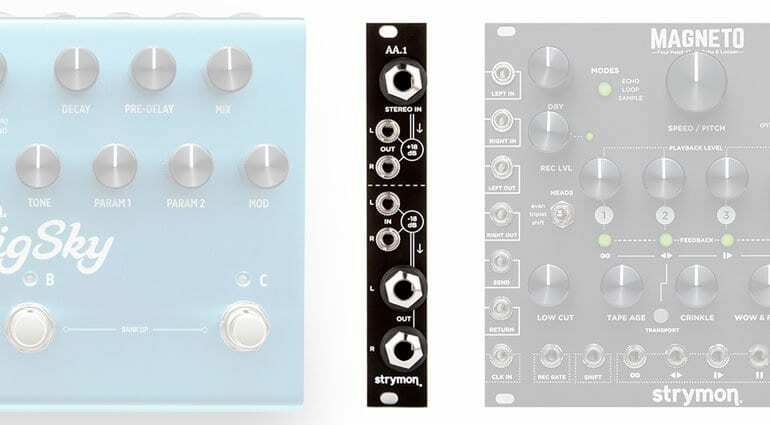 Strymon’s recent foray into Eurorack with Magneto surprised and delighted everyone. 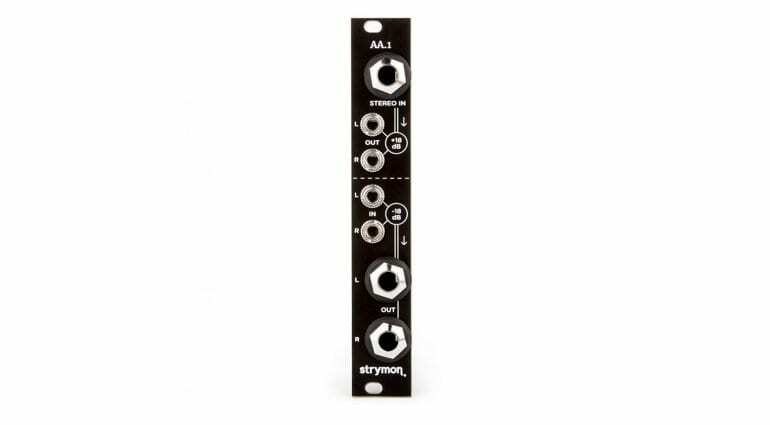 Strymon guitar effects pedals have been popular with electronic music makers and having them developed into proper Eurorack modules makes them so much more convenient and accessible. But Strymon wants to bridge both worlds. 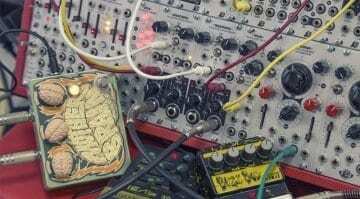 They want to provide a sensible way to integrate their pedals with Eurorack while they explore the format. And so we have the slightly-under-the-radar AA.1 Amplifier Attenuator. The purpose of the AA.1 is to merge guitar and Eurorack. It deals with the discrepancy between Eurorack level audio and guitar level audio. Eurorack modules output a very hot signal that can easily overload effects pedals and audio interfaces. They also prefer a hot signal at the input in order to make the fullest use of the module. The AA.1 sorts this out. There’s an amplifier. Put a guitar, or the output of your guitar effects pedal into the top half of the AA.1 and it comes out with an 18dB boost up to Eurorack levels. You can now patch your guitar signal through whatever processors you have in your rack. There’s an attenuator. Route your bleeps and bloops out of the bottom half of the AA.1 with a -18dB reduction so that it can reach guitar effects at a proper level. It soon becomes obvious that this can make for a very neat guitar effects loop for your Eurorack. 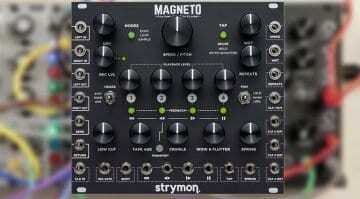 Strymon designed it originally to provide a send/return for the Magneto. But you could also plug in a guitar simply to use the Eurorack effects, or do a bit of envelope following. You can use the output to attenuate your master Eurorack output to a sensible level for your audio interface. So if you’re a guitarist wondering how to combine it with your modular, or if you have a collection of stomp boxes that want to use more effectively then the AA.1 is a simple and elegant solution. It’s only 4HP wide and should be available any time now for £149. Strymon Magneto Tape echo and looper released: check out these videos! 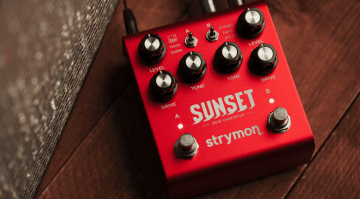 Strymon Sunset Dual Overdrive – A new dawn for drive tones?